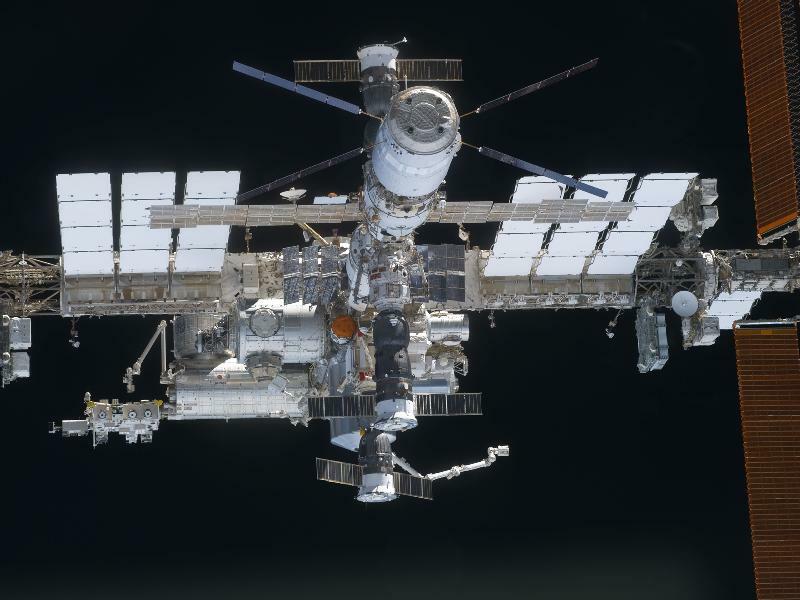 … Mir space station. It de-orbited (crashed into the pacific) 10 years ago today. I remember seeing it on its last visible orbit over Ireland. I was talking to Peter O’Keeffe outside his front door when it streaked overhead on the evening of the 22nd. Quite a sight, and a piece of history. Monday evening was a rare oportunity with clear skies which allowed for a wonderful sighting of Discovery, OV-103. The ISS and Discovery were both visible, undocked and the ISS appeared to be chasing Discovery across the night sky. This was the last opportunity we had to see the pair and it is something I will never forget. Since then Discovery has successfuly landed and will be slowly making its way to the Smithsonian. Shortly after undocking, the following picture was taken by an ISS crew member. Absolutely stunning! 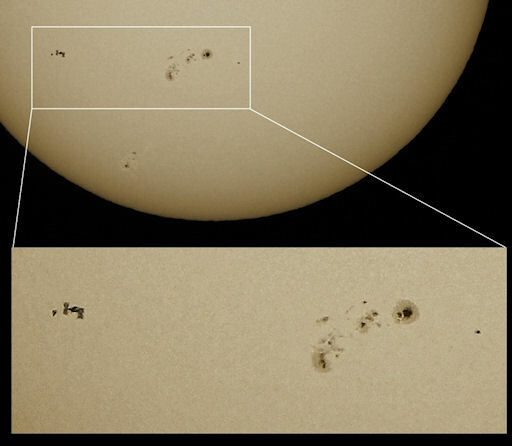 Even more amazing is the following picture spotted by Bill Meara, N2CQR (on spaceweather.com) which he posts about here. It is relatively easy to make out the Discovery and the ISS in the picture. I think you would agree, both are stunning.